The Future of Retail Relies on Website Localization - Niki's Int'l Ltd.
Over the past few years retail stores are falling victim to bankruptcies, store closures, downsizings, and incredibly high volumes of employee layoffs. Shoppers, slowly but surely, are preferring the ease and convenience of online shopping, which means mall and store traffic unfortunately is declining. Instant access to information and an abundance of products and services to choose from, displaying images from multiple angles with a full list of details as well as reviews from people who have made the same purchases are attracting and enticing people to shop online from the comfort of their own homes. This rapidly developing access to pretty much anything anywhere has significantly impacted and profoundly affected the shopping habits of modern society. Many major companies are suffering the debilitating effects of a technological evolution in the world of retail. In response to the shift, many companies are focusing efforts on their e-commerce sites in order to, “give the people what they want.” Shopping online is easy and completely customizable. If you’re looking for a pair of navy blue, mid-height heels, you can simply type “navy blue, mid-height heels” in the search bar of an online store and it takes you directly to the items they have that match your search. This aspect simplifies and customizes the shopping experience while saving the time it would take to drive to the store, shop, and stand in line to make the purchase. With the rise in popularity surrounding online shopping and many companies already developing a web based platform, retailers can take advantage of the vast opportunities website localization offers. As the popularity of online shopping continues to rise, the need for diversified language options offered on retail sites will need to be addressed. Offering your services or products online opens your business up to the entire world of the internet not just the 25.5% of internet users who speak English. In the past 17 years the number of Chinese internet users have increased 2,262.8%, Spanish internet users have increased 1,516.1%, Arabic internet users have increased 6,805.9% and Russian internet users have increased 3,272.7%. Adapting the marketing for your e-commerce site and offering language options associated with countries showing the most internet usage growth allows you to gain new diverse customers, boost sales, increase page views, conversion rates, and consumer retention. E-commerce sites can gain exposure to multiple markets by localizing their website which creates more than one avenue of revenue. As stated previously customers are looking for a more tailored and personalized experience while shopping. 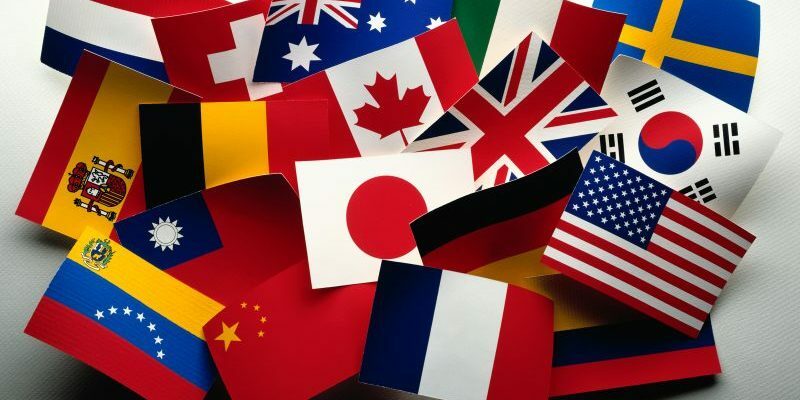 Selling your products to linguistically and culturally diverse markets is the biggest opportunity for businesses to substantially grow in a short amount of time. This can be achieved through the creative language service known as website localization. Website localization provides shoppers with the option of reading content on your website in their native language. It adjusts all aspects of the website including text, images, colors, functionality and overall aesthetic in order to thrive just as well as the original site in a different language and culture. Websites that are localized entice and attract shoppers who are culturally diverse and who speak a different language. By meeting the requirements of a specific target markets locale, companies can allow shoppers to understand and relate to the information, images and marketing displayed while providing a user friendly experience. If you’re interested in gaining a competitive edge and having more than one avenue of revenue, website localization should be your next marketing investment. With evolving demographics and a shift in shopping preferences, neglecting the growth in online shopping diversity and failing to market accordingly, can leave your e-commerce site lagging behind the competition. Website localization allows you to stay current and relevant while exposing your business to several untapped markets. Digitally savvy online shoppers expect more from retailers, creating a personal connection with consumers and emphasizing a customized experience will allow your retail business to thrive in the virtual world.